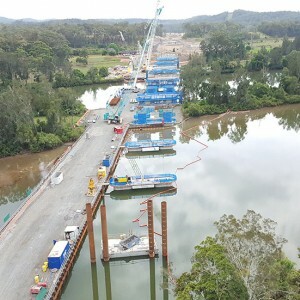 Brady was engaged by Lend Lease to deliver the substructures for the Hastings and Wilson River bridges, part of the Oxley Highway to Kundabung Pacific Highway Upgrade project. 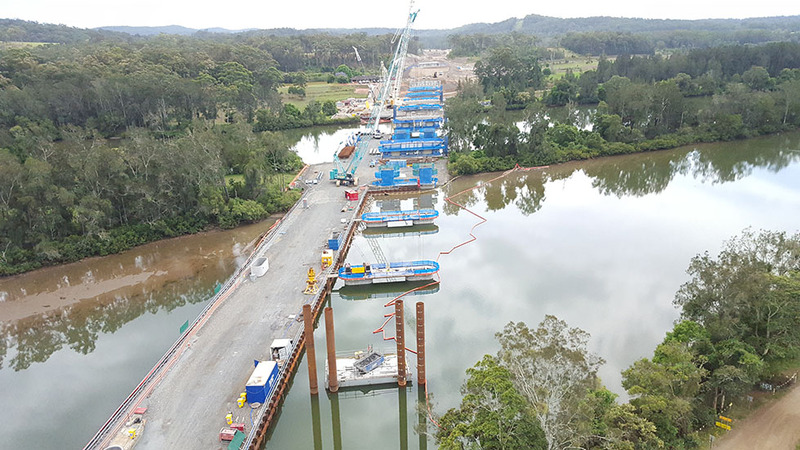 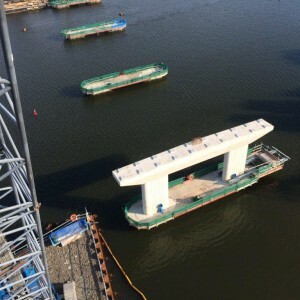 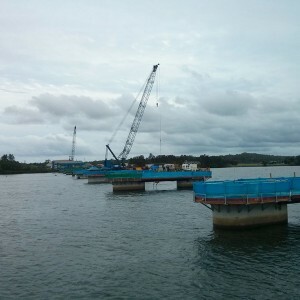 On the Wilson River bridges with a total length of 525m, subcontract works included bored pile installation and precast shell pile cap installation and dewatering. 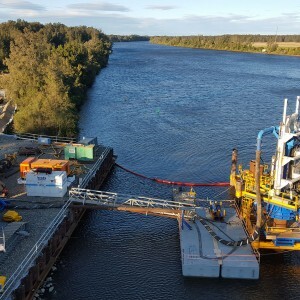 Bored piles were installed using a combination of our Wirth pile top drill and Bauer Flydrill. 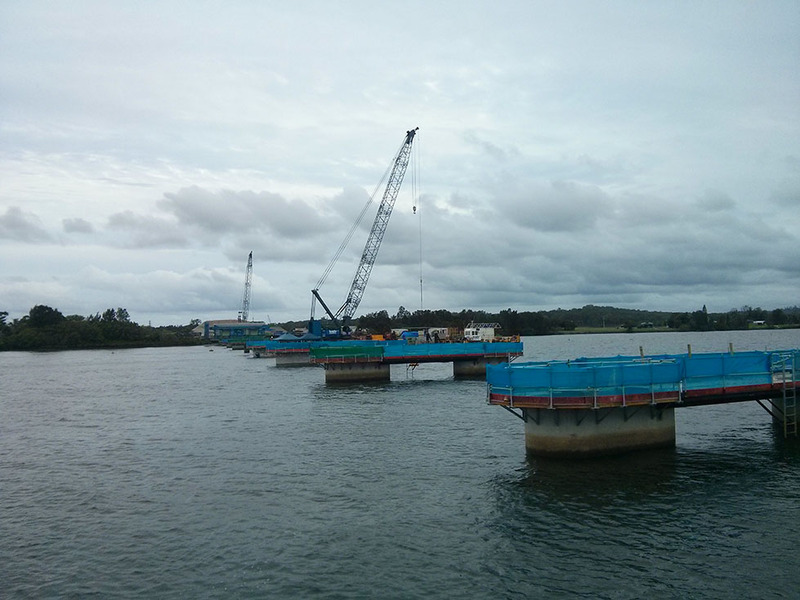 All works were accessed from a sheet pile cofferdam/causeway. 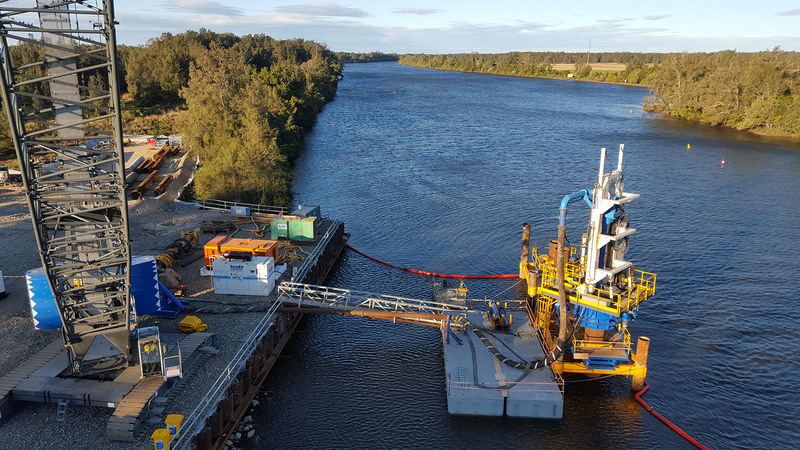 For the 570m long Hastings River bridges, works included driven steel tubular piles which were excavated internally and plugged, together with precast pile cap shell placement and dewatering. 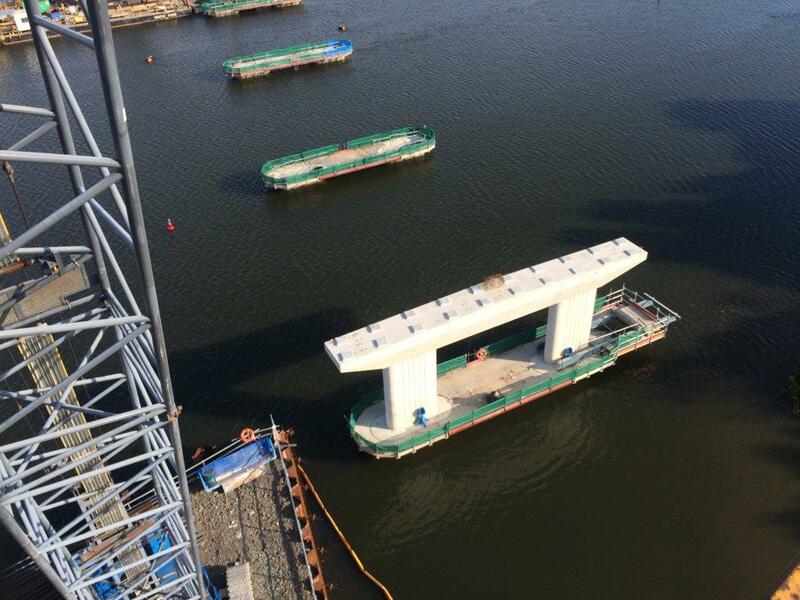 Hastings River works were delivered from floating plant including our construction barges Maeve Anne and Leanora.